Bingo Snap Jewelry - Choose from Bingo Queen, Bingo Diva, Bingo with Cards or Bingo Bebe. 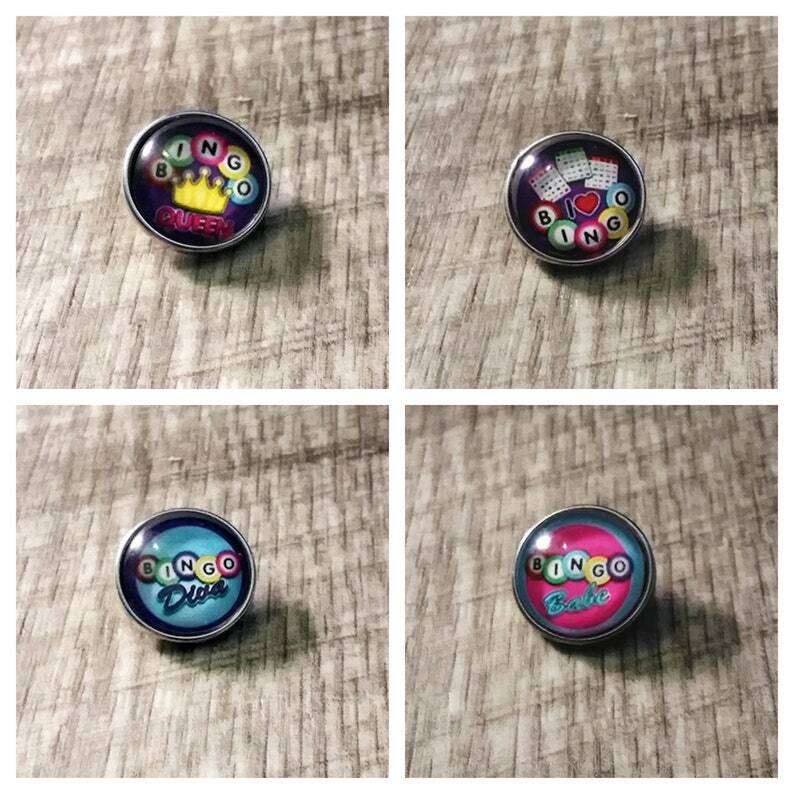 Our Snap Buttons are created for the Interchangeable jewelry accessories and more. Express yourself by designing your own jewelry. 4)	Wear and be fabulous! The Button Snaps are not GINGER SNAPS or NOOSA, but the same high quality. Listing is for charm only. See other listings for snap bases. Flat rate shipping on all orders. $3.30 no matter how many items you order. Your order will ship in a bubble envelope and your items will be placed in an organza bag. I also do custom photo charms. Thank you, it is just what I expected it to look like.